Raymond G. Lahoud, a Partner at Norris McLaughlin & Marcus and Chair of its Immigration Law Practice, focuses primarily on immigration law and deportation defense for individuals and corporations in New Jersey, New York, and Pennsylvania (Easton, Bethlehem, Allentown, and the surrounding region). His practice includes Citizenship, U.S. Non-Immigration Visas, E Visas, E-3 Visas, H-1B Visas, H-2B Visas, L Visas, O Visas, P Visas, Q Visas, R Visas, TN Visas, U.S. Immigration Visas, EB5 Investor Visas, Exceptional Ability Immigrant Visas, Extraordinary Ability Immigrant Visas, K-1 Visas, K-3 Visas, Multinational Manager/Executive Immigrant Visas, Outstanding Professor/Researcher Immigrant Visas, PERM Labor Certification, Family Petitions, Adjustment of Status, Marriage Petitions, Asylum, and VAWA applications. Ray also has a long history of political and business management expertise. Ray also works in the field of Immigration Waivers, such as the Visa Waiver Program, National Interest Waivers, Hardship Waivers, and J Waivers. 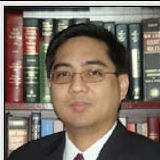 His practice focuses specifically on Deportation Defense, at the Immigration Court, Board of Immigration Appeals, and Circuit Court levels. He has defended individuals against deportation across the United States. In state and federal appellate courts, he seeks post-conviction relief for the underlying crime that led to the commencement of the deportation. He also represents individuals who overstayed their visas or entered the United States without inspection. Ray has received numerous accolades. He has been awarded the Empire State Pro Bono Counsel Award each year since 2012, has been selected as Lead Counsel, and has been named a Super Lawyers Rising Star, ranked as a Top Rated Immigration Attorney in the New York Metro Area. He has also recently been named in the Lehigh Valley Business Forty Under 40. In law school, Ray earned Deans List, received CALI awards in many courses, and worked on the Georgetown Immigration Law Journal. Norris McLaughlin & Marcus provides a full-service immigration practice whose trained professionals have extensive experience in the field of immigration law. The Immigration Law Group is skilled in all types of immigration matters and representation before the nation’s immigration-related agencies, including the Department of Homeland Security, United States Citizenship and Immigration Services (USCIS), Executive Office for Immigration Review, Board of Immigration Appeals, Department of State, United States Embassies and Consulates, Department of Labor, and any other federal agency, whether in the United States or overseas. The attorneys in the Immigration Law Group are experience members of the American Immigration Lawyers Association. The Norris McLaughlin & Marcus Immigration Practice is broad in scope, with extensive national and global capabilities, to serve individuals and families; small, mid-size, and large businesses; national and international corporations; non-profits, hospitals, universities, colleges, and research institutions; manufacturers, importers, exporters, investors, and others, to allow for ease in clients’ global mobility. While at Baurkot & Baurkot, Immigration Attorney Raymond Lahoud has handled an extensive amount of immigration, appellate and deportation matters across the nation, with his focus on New York, Pennsylvania and New Jersey. 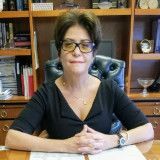 Attorney Lahoud has handled the toughest of deportation and immigration matters, ranging from your basic family petitions, to the grants of asylum, cancellation of removal, Board of Immigration Appeals and oral arguments, Petitions for Review before several federal circuit courts, bond hearings and, among other areas of practice, habeas petitions challenging the due process concerns of certain removal/deportation proceedings as well as the mandatory detention of immigrants for long periods of time, without the possibility of relief. A live seminar on the rights and responsibilities of employers when hiring new employees, managing an I-9 Compliance System, How and When to Conduct an Internal Audit, and What to Do When ICE Conducts a Workplace Raid. The award celebrates 40 of the Greater Lehigh Valley's most accomplished young businessmen and women who have been making headlines in their field and who share a commitment to business growth, professional excellence and to the community. Recognized for substantial pro bono immigration law related work for disadvantaged families. The President’s Scholar Program recognizes outstanding academic achievement by undergraduate students at Lehigh University by providing a fifth year of study free of tuition., President's Scholar, Lehigh University. Activities: Provide pro bono, outside counsel assistance to immigration and deportation cases that the American Civil Liberties Union (ACLU) is litigating. Free consultations are provided in person, in prison, in immigration custody, over the phone and, over a secured internet service. All major credit cards are accepted, including Visa, MasterCard, American Express and Discover. Rates vary by the matter provided. Normally, Immigration Law matters are provided flat fees, while Deportation Matters are provided a "cap" amount and are billed from that point forward. Norris McLaughlin provides value based billing, so that all clients pay the price for the work provided. 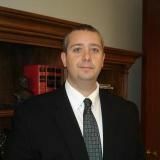 Raymond Lahoud, Esquire - Attorney Profile, Norris McLaughlin & Marcus, P.A. 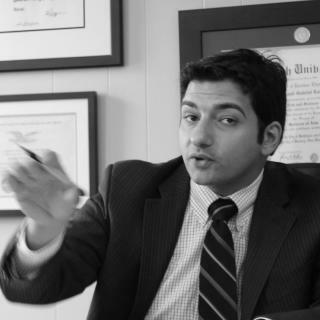 Attorney Raymond Lahoud discusses the Adjustment of Status Process.